Tackle any kind of weather head on with Volvo All-Wheel-Drive. Volvo All-Wheel-Drive with Instant Traction™ allows drivers to maintain the best possible traction, on both wet and dry surfaces. That extra confidence and control allows Volvo driver's to reach their destination safely. How Does Volvo All-Wheel-Drive Work? All-Wheel-Drive comes in handy when road conditions are snowy or wet. If a wheel loses traction on an all-wheel-drive equipped Volvo, power directed to the slippery wheel is immediately reduced and instantly transferred to the other wheels that have better traction. This power transfer delivers stability and maximum traction. Even when the surface is dry, Volvo All-Wheel-Drive is able to direct power primarily to the front wheels for maximum traction and fuel efficiency. For example, Volvo S60 Polestar integrates All-Wheel-Drive with Torque Vectoring to achieve maximum grip under heavy acceleration and braking. Hill Descent Control is another stability control system available on Volvo vehicles. 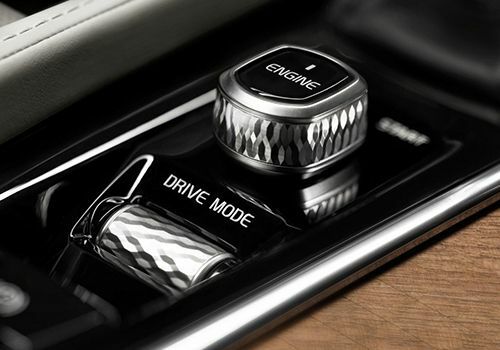 This feature comes in handy when paired with all-wheel-drive. When you're descending down a slippery slope, your Volvo will utilize the vehicle's engine torque and braking system to crawl in low gear for a smooth ride down the slope. Hill Descent Control can even work when driving in reverse. Volvo All-Wheel-Drive can give you a peace of mind when you need to tackle inclement weather or hazardous road conditions. Providing ideal traction at the exact moment you need it, all-wheel-drive immensely reduces your chances of your Volvo getting into an accident due to poor traction.